If you’ve been hunting for jobs in the field of IT, you might have noticed something interesting. Out of all of the programming languages out there, Java developer jobs are on the rise! More and more companies every single day look for and hire new Java developers. If you know Java and are looking for one such job, you’ll have a huge pool to choose from. However, reading through the various Java developer job descriptions, you might notice that the requirements tend to differ in almost every single one. That’s because there are different types of Java developer jobs out there! What types am I talking about? Well, continue reading the article and find out! So, we’ve already established that there are different types of Java developer jobs out there. These “types” are used to determine the complexity of a job, its requirements and responsibilities, the salary, and so on. Just to make things simple and stay consistent, we’ll be using three of the main types of Java developers and Java developer jobs in this article: entry-level (otherwise known as a beginner), junior and senior. Let’s begin by taking a look at the entry-level group of devs. Entry-level Java developers are the youngest developers out of the three groups. In most cases, this group would consist of people who have just recently finished their studies in a college or university (or are still studying) and are now sorting through beginner Java developer jobs, trying to find one that would suit them best. Usually, when someone talks about entry-level Java developers, it is assumed that these people have (close to) no experience with actually working as Java developers in a company. They may possess some (or even extensive) knowledge of Java and all of the processes that this programming language can be used for, but this doesn’t change the fact that they lack proper experience when it comes to actually working with a team of people on multiple different tasks. As an entry-level Java developer, it is expected that you already know what is a Java developer and how does Java work, in the first place. One of the main requirements for people looking for how to become a Java developer is going to be a strong passion to learn and improve. Even though it might sound arbitrary at first, it’s actually super-important. Whenever a company hires a beginner Java developer, the employers know that this person has only the very basic of knowledge, and needs to develop his or her own understanding of the workflow within the company. However, it is almost universally expected that this developer will try his or her best in learning the tropes of the industry as quickly as possible. This is where motivation and discipline come in – if you manage to set a good work ethic for yourself from the very beginning, you should be able to catch the flow of your new job in no time. Furthermore, once your employers see that you are actually passionate about what you do, they will have a whole new outlook on your work. As for the more technical requirements, there will be few things that are as important as proper education. Many people these days take the route of “e-learning” – there are hundreds of different online courses and tutorials that claim to be able to teach you Java development. While some Java developer jobs will accept candidates who lack formal education, this is rarely gonna be the case. Even though Java is one of the easier languages to learn and eventually master, most companies are still going to ask you to provide a Bachelor’s degree in Computer Science or any other related field. If you have proper formal education, though, that should be able to cover most of the technical requirements that the potential Java developer jobs might have. In the very beginning, most Java developer jobs will have a limited amount of responsibilities that you should meet and perform. As an entry-level Java developer, most of your responsibilities will involve knowing how to use Java and how to implement it into your daily tasks, analyzing specific requirements and making the necessary adjustments to your apps, testing software for bugs (and eliminating any and all bugs that you find), and so on. Furthermore, at the beginning of your work, your employers are going to expect you to get to know all of the people that you’ll be working with. As a Java developer, there will be a lot of situations where you’ll have to work with a team of people. This is why communication is very important! When you’re just starting out on your Java developer career path, there won’t be that many options available for you to choose from. However, as you progress through your work, get a feel of what it’s like working in a company and train your skills, more and more doors will start opening up. The field of Java development itself is full of different and attractive career opportunities. Since Java is as popular as it is, there are many different areas where it can be used and applied in. As you progress your skills, an increasing amount of these fields will start opening up. Entry-level Java developer jobs aren’t famous for their huge salaries. That makes sense, though – beginners have to concentrate on their studies and progress, and only then can they expect to start earning a decent salary. Furthermore, taking a single look at their requirements and responsibilities makes it somewhat evident that they won’t be able to make hundreds of thousands of dollars straight from the get-go. 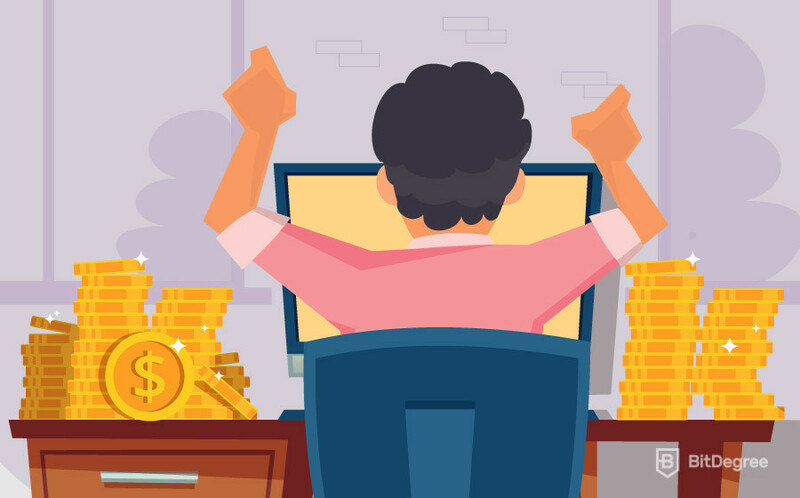 However, it is still widely believed that even the beginner devs can make a decent earning. Once these people climb over the questions of “how to become a Java developer?” and “what is a java developer?”, they can start thinking about a higher salary. According to Payscale.com, entry-level Java developer jobs offer an average of $66,700 USD per year. All things considered, that isn’t a bad salary after all! Junior-level Java developer jobs are the most common Java-associated jobs that you’ll find on the market. Furthermore, the junior group of these developers is the largest one of the three. This is mostly because this group overlaps with both the beginner and the senior ones, and since there are no clear guidelines of where one group ends and the other begins, you have a lot of people drifting on the side. The main thing that defines a junior Java developer tends to be his or her experience with Java. It is the main point by which junior devs differ from entry-level ones – they have more experience in working with Java and all of its related tools. That said, previous workplaces aren’t the only way to gain experience with Java. Let me elaborate. As I’ve hinted at in the introduction of this chapter, the experience is going to be one of the main things that you will need while looking for junior Java developer jobs. However, you do not need to have worked in multiple previous jobs in order to have accumulated experience. While some companies will only agree to hire you if you have past WORK experience, the vast majority of potential employers will look at your skills with Java. And there are a few different ways of how you could have accumulated these skills. Assuming that you’ve graduated from a higher education institution (i.e. college or university), you should have had many different opportunities to train your Java development skills. After-class group gatherings, seminars and conferences, individual projects or even online courses (as an extra to your studies, not a replacement) all add up – if you manage to provide details about all of your activities, your employers will know that you’re not only passionate about Java development, but are also communicative. That’s a requirement that you will find in any and all Java developer job descriptions! Most junior Java developer jobs will also require you to have an analytical mindset, know how databases work (and have experience of actually working with them), be good at planning and organizing your time, etc. Since you will (for the most part) be working on your tasks without much supervision, it is important that you would know how to develop various specific documentations, be able to work with different Java infrastructures, manage the software or app design and development so that it’ll be in-line with the business wants and needs of the company, and so on. Since all of the above-mentioned requirements are in addition to those discussed in the “Entry-Level Java Developers” section of the article, you can probably tell that junior Java developers have a lot of diverse tasks to take care of. They all sort of depend on your skill level, though. 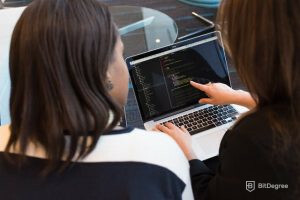 Devs who are close to becoming senior Java programmers will most likely work on some different tasks than those who have just made the transition from beginners to junior developers. Honestly, junior Java developer jobs offer a very similar career path to that of the entry-level group’s. The main difference would have to be the quantity – as a junior Java developer, you have many more choices to pick from. 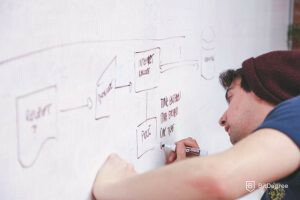 Furthermore, one thing that many Java developer job descriptions fail to mention is that you will also have a wider variety of types of jobs to choose from. This is mostly because your Java skills should be on fleak by this point, which opens a lot of doors for variety. Since junior Java devs no longer wonder how to become a Java developer (understatement of the century), their salaries also represent this. According to Glassdoor.com, a junior Java developer should make around $75,700 USD per year. That’s a whole lot of money! The top-dogs of the industry, senior Java developers are basically Java experts who have truly mastered the programming language and know the processes around it through and through. While they are probably the smallest group of the three, they are also among the most valued ones. As you might expect, the requirements for people aiming at senior Java developer jobs are quite significant. First of all, you must know Java inside out – that’s a given. However, it is not enough to only know and understand java – you must also be proficient in using all of the main tools around Java. Since it is likely that you’ll be working in an app development company (that’s the most common use of Java), there are going to be quite a few of these tools to master. Additionally, you shouldn’t have any problems with performing some of the more basic tasks that Java developers do. Surely, your every-day work will mostly consist of advanced-level tasks – that’s why you shouldn’t experience any difficulties with the easier ones. As a senior Java programmer, you’ll have a few different types of responsibilities. First and foremost, individual tasks. These are going to be your own, personal tasks assigned to you by the company you’ll work in. Do keep in mind that the majority of these tasks are going to be super-difficult and will require you to be working with a team. Now, you might think – how are they “individual” tasks, then? Simple – they will be assigned to YOU, which means that they are YOUR responsibility, and no ones else’s. To add to that, you will probably have to manage and mentor your younger members of the team. Even though junior Java developers will most likely require little to no hand-holding, entry-level employees are a whole different story. You will have to not only keep an eye on them but also make sure that they understand their tasks and perform them well. Senior Java developer jobs offer some of the most advanced and interesting career paths out there. You basically have the choice to work with any and all projects that you so wish to, depending on your own personal preferences. That said, most senior Java devs still choose to stick to a single company (more often than not, it is the company in which they became senior devs). Needless to say, senior Java developers make the most money out of all of the three types of Java devs out there. But what amount are we talking about, exactly? Well, according to GlassDoor, a senior Java developer can expect to earn an average of $106,500 USD per year. That’s a number that actually difficult to grasp! Keep in mind, though, that if you want to one day earn a salary like that, you’ll have to put in the sweat and hours required to reach this level of Java development. 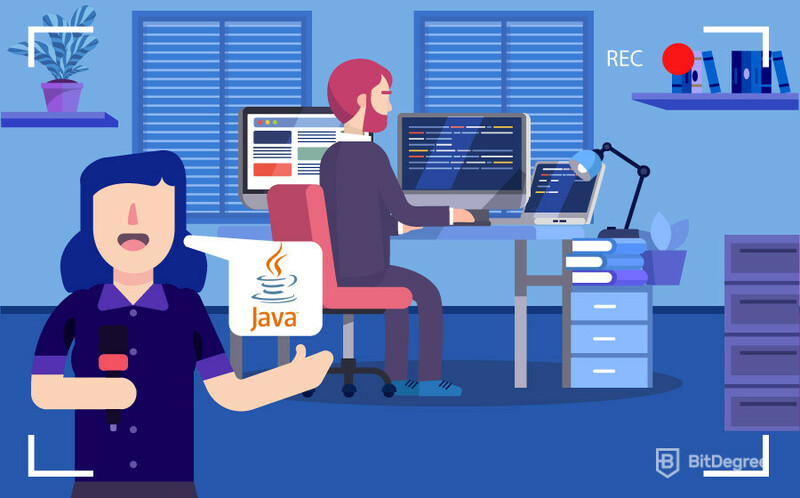 By now, you should not only know what is a Java developer and what are the different types of Java developer jobs, but also the different types that these jobs can be classified by. I hope that this tutorial was useful to you and that you are now ready to find the Java development job of your dreams. All the best of your future career path!